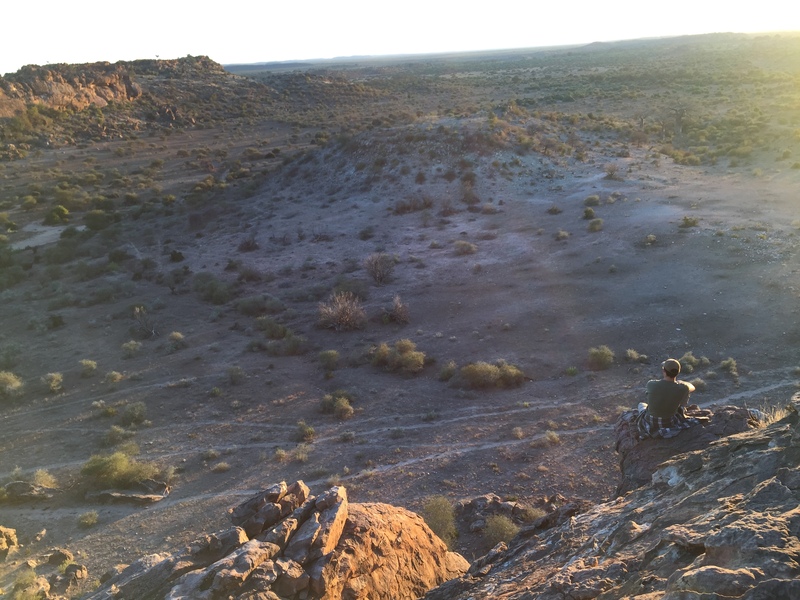 When applying, and subsequently preparing, for my study abroad course in Botswana, I noticed a pattern in how conversations about the trip went. Everyone who learned that I was taking part in this study abroad would first ask where Botswana was, sometimes not realizing it’s in Africa, and then something about how remote it will be, and then something about the wildlife that exists there. Whether it be about how majestic lions are, or something about a documentary they saw. With what I thought was an educated outlook on conservation of charismatic megafauna in Africa, I attempted to explain the issues that face the animals. After being in the bush of Botswana for a month this summer, I realize that my outlook was embarrassingly incomplete. It’s common to hear the joke that Americans think Africa is one big country rather than a continent. While this is somewhat humorous in the moment, it has more serious repercussions when people use this logic and apply it to conservation throughout Africa. Africa is not only complex in an ecological sense with many different ecosystems, but also in socio-political sense with many countries. With each country comes individual problems, including civil unrest, poaching, ecological imbalances, and land use. While Botswana doesn’t have a lot of these issues, at it’s a stable country, one problem it is having is an ecological imbalance of elephants. Contrary to what most Westerners would think, Botswana has too many elephants in their protected land. People I have told this to are surprised because they believe all African elephant populations are struggling; however, in Botswana, elephants are now threatening to eat themselves out of Chobe National Park. While abroad I didn’t only learn of Botswana’s struggles to remain independent in the worldwide conservation debate but also of other countries struggles. The first night in the hotel in South Africa, I had a discussion with a bellhop who immigrated from Zimbabwe due to civil unrest. Because of this unrest, he explained, the eco-tourism industry suffered, and when that happens both the wildlife and the rural Africans that depend on the wildlife also suffer. Land use is another problem that many African nations face. Most, if not all, countries have many different groups wanting to live on and use the same land. In Botswana, we learned of the many different ethnic groups that live throughout Africa, particularly the San people that live in Botswana. Include ranching, farming, and eco-tourism all vying for the same land, you can see how land management is tricky to balance correctly. Within four days of my arrival, it was clear that I was missing the most important factor of my conservation equation: people. It seems obvious that people would be an important factor in human-animal conflict, and in most places, they are. However, in the Westerner’s mind, rural Africans are not important in the conservation dialogue. They are not important because of how Africa is viewed. Africa is viewed as a wilderness consisting of wide-open plains where people do not live, or worse, belong. This wilderness that the Western mind often romanticizes does not exist in Africa. Africa is full of people, and the land they are using is expanding rapidly. Because of this, wildlife is pushed further into smaller reserves. While in Botswana, we stayed on the small corner of the Mashatu Game Reserve, which itself is part of the Northern Tuli Game Reserve, which itself is in the eastern corner of Botswana. With how small this area appeared to be on a map, it is incredible how every day we seemed to see a new part of the reserve. Yet the illusion of wilderness that I thought existed at the beginning of the trip could not last for long. Just across the riverbed and over a hill was a farm equipped with center-pivot irrigation, 8-foot-high electric fences, and a patrol of armed guards to protect corn against wildlife. Climbing kopjes along the riverbed to look over the farm was a bit of a shock and, in all honestly, made me a bit pessimistic. Knowing that if eco-tourism becomes less profitable than agriculture, the beautiful reserve I stood upon could be converted into cropland. It was a sobering thought, but reflecting on it, I believe that to be a necessary realization to have. It allowed me in to come back and have a full and accurate paradigm of conservation in Africa. Even worse is when Westerners do connect rural Africans with wildlife because it almost always happens in one way: poachers. “Poacher” has such a negative connotation on the word that being labeled one would constitute death threats. If you don’t believe me, look at the comments of a Facebook article where poachers are mentioned. However, after talking to Adrian (one of our camp guides), he was quick to state that especially in a successfully run non-corrupt country, such as Botswana, most poaching is subsistence poaching where poor, rural Africans are simply trying to get enough protein for themselves and their family. As evidence, he used his own life. When he was young, he was a poacher. He would set snares and traps for small game like rock dassies. He told me he didn’t even know it was illegal to do because his whole village did it. When he grew up, he eventually became employed under Botswana’s Department of Wildlife and slowly became more educated on conservation topics. He helped educate his village on poaching, has done anti-poaching, and is now focusing on conservation education as a certified guide. During our conversation, Adrian discussed about how people view wildlife as a renewable resource in Botswana. This statement really stuck with me throughout and after the trip. In my small suburb of Chicago, people freak out when coyotes and foxes are seen around as they fear for the lives of their small pets. So, to me it seemed counterintuitive to me why the people of Botswana would want to live around these large animals that not only risked the safety of food supply, but the safety of themselves and their family. However, after being and learning in Botswana for a month, the idea of wildlife as a renewable resource came into focus. When properly managed, the wildlife in Botswana can provide jobs, meat, leathers, and other important items to sell or use to the rural people that live around these animals. If these animals can offer these benefits to the people of Botswana, even with the inherent dangers of living next to large animals like elephants or lions, they will keep them around. There was a lot to take away during my month abroad. Never have I been surrounded by a group of people who care just as much as me about the natural lands around us. What’s more was this group was made up of greatly diverse people. Botswana natives, South Africans, New Zealanders, Brits, and Americans from wildly different backgrounds. With all of us being from such drastically different cultures it is astounding we all arrived, albeit different ways, at the same conclusion that our natural lands are important for all of humanity. After coming back from this study abroad, as cliché as it sounds, I have radically changed my outlook to something I believe is a more complete and sounder viewpoint of wildlife and nature. While, of course, I enjoyed seeing charismatic megafauna in its natural habitat, the importance of seeing an elephant or a lion pales in the importance of truly knowing the state of African wildlife and conservation that is so often clouded with incomplete information. I still have much to learn as I have only seen Botswana, which represents the one of the most promising states of conservation in Africa. But, what I do know and can say is that the most effective conservation programs in Africa are ones where rural Africans take over management and reap the benefits of the renewable resource that is wildlife. For more study abroad opportunities in SNR, click here.